In the last few years, Kale has really become popular in the foodie realm. If you are hesitant to test this popular vegetable out, we have 25 Delicious Kale Recipes already picked out that we know your family will love. Not only do we include some yummy soups and salads as you would expect, but there are casseroles, a yummy breakfast and even a lasagna in this list. Most of these recipes are even super easy to assemble and fairly budget friendly! Kale no longer has to be a vegetable you avoid in the grocery stores. Grab a bunch of kale on your next shopping trip to add to one of these delicious kale recipes that we love. Chopped kale goes beautifully in almost any pasta sauce, soup or egg dish. From quiche and casseroles to omelettes, you’ll love the richness and nutrient dense flavor this vegetable offers. The burst of bright green color can even be added to your favorite fruit smoothie to add some extra richness and vitamins to boost energy throughout your day. Check out some of our other favorite recipes! What a great (healthy!) collection. Thanks for sharing with us at the Inspire Me Mondays Link-Up. Hope to see you next week! I love kale and I am often at a loss for what else to do! This is great, PINNED! Sayiong hello from the best recipes link party! 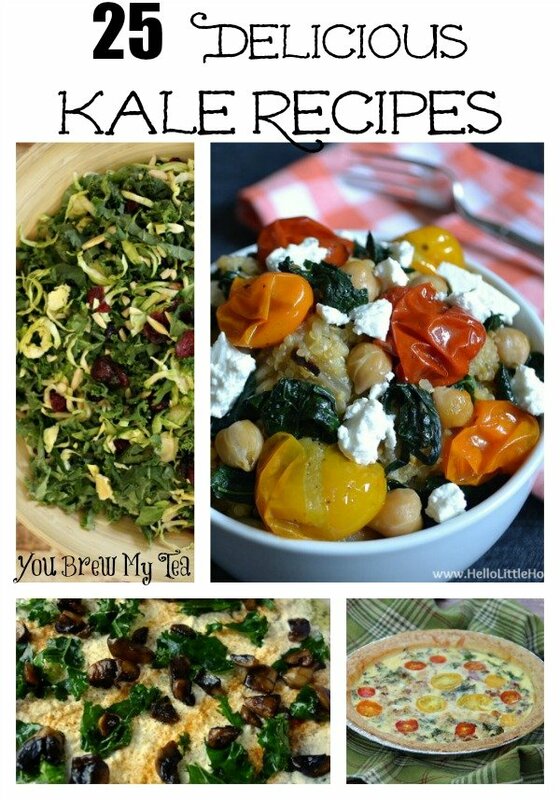 I have never tried kale before, but that is a great list of recipes! Thanks for sharing at Idea Box!